When will be Life with Louie next episode air date? Is Life with Louie renewed or cancelled? Where to countdown Life with Louie air dates? Is Life with Louie worth watching? Animated Louie lived at home with his father, Andy (a grumpy war veteran), mother, Ora, and little brother, Tommy.He also has other brothers and sisters,but they don't appear every time. 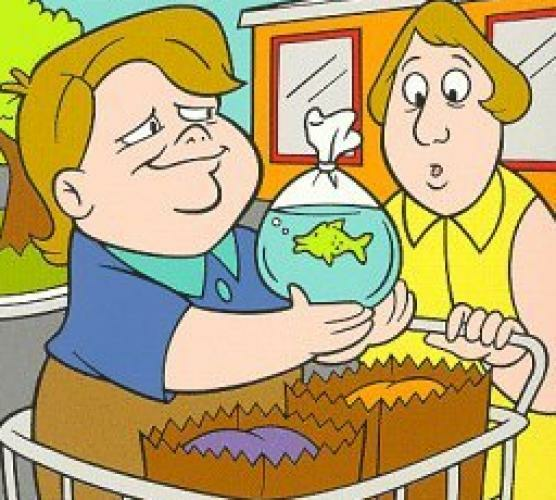 Each episode began with a live-action appearance of Louie Anderson introducing the show and setting up the plot. The show focused mostly on the funny events of life growing up. Life with Louie next episode air date provides TVMaze for you. EpisoDate.com is your TV show guide to Countdown Life with Louie Episode Air Dates and to stay in touch with Life with Louie next episode Air Date and your others favorite TV Shows. Add the shows you like to a "Watchlist" and let the site take it from there.